Zirconia-coated silica particles selectively remove phospholipids from plasma. These particles use Lewis acid-base interactions to strongly bind phospholipids. 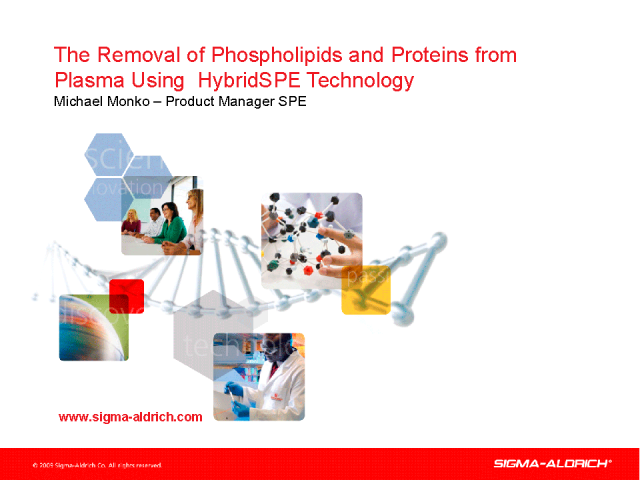 HybridSPE technology can be used to remove both phospholipids and proteins from plasma samples in a simple 3-step protocol, resulting in better LC-MS sensitivity and longer HPLC column life.